Hand-drawn frames of Friederich W. Murnau’s seminal 1922 film Nosferatu, on exhibition at Home(ward). Over 35,000 film frames will be hand reanimated for Mastrovito’s NYsferatu, premiering this fall at public parks and plazas around NYC. © Andrea Mastrovito. Courtesy of the artist and More Art. As vampires drain blood from their victims, living in New York City can “drain your life,” particularly when you find yourself as an immigrant caught amidst polarizing narratives. Seldom are everyday people allowed to participate in discussions around foreign policy and homeland security. The statistics indicate the momentousness of the issues dissected at Home(ward). For instance, a study of census tracts by Governing Magazine found a gentrification rate of 29.8 percent following the 2000 census in NYC, in comparison to just 9 percent between 1990 and 2000. Coalition For The Homeless reports that homelessness has reached its highest levels since the 1930s, and that 61,000 individuals are affected by homelessness in NYC. The Migration Policy Institute (MPI) reported an immigrant population of 43.3 million in 2015. One of Michelle Melo’s textile panels in exhibition at Home(ward). The panels employ an indigenous Latin American technique of molas, textile art made by the Kuna women of Panama. The artwork illustrates conversations overheard at printmaking workshops at Carver Senior Center in El Barrio, East Harlem. © Michelle Melo. Courtesy of the artist and More Art. The Washington Post. By Sadie Gurman. April 21, 2017. The Washington Post. By Associated Press. April 19, 2017. The NY Times. By the Editorial Board. February 28, 2017. The responsibility to drive these critical discussions falls onto our shoulders; onto government and cultural institutions to provide venues to pursue this exchange. Arts and cultural institutions have already started to take on that role more aggressively. Home(ward) is an example of an artistic platform that during its run, provided a space to discuss and raise questions on housing, immigration, and gentrification. As an institution, NCF has a longstanding history of being committed to permitting organizations such as More Art to display their work as part of their installations. 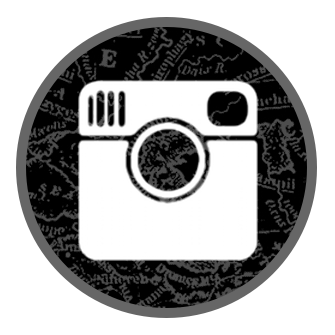 Their program has allowed professional artists and institutions to create a community concerned with both arts activism, and social engagement. The benefits of these relationships are readily visible. The exhibition featured pieces both commissioned by More Art and produced in collaboration with artists from their fellowship branch program, Engaging Artists Fellowship. Andres Serrano’s Residents of New York were large format C-prints originally installed in the West 4th Street Subway Station. Month2Month by William Powhida and Jennifer Dalton, who led a month-long series of events at ‘luxury’ and ‘affordable’ apartments, were also featured in the exhibition. Both Residents of New York and Month2Month have received considerable media attention. Also commissioned were Vacated by Justin Blinder and Moon Guardians by Ofri Cnaani, both which explore gentrification in Brooklyn and Chelsea. Commissioned public art projects and artworks produced through the fellowship are the brick and mortar of More Art. Together, they form a sustainable model for producing art that is socially engaged. Two pieces from Michelle Melo and Hidemi Takagi, recipients of the fellowship, demonstrate More Art’s sustained effort to drive discussions around displacement and migration. 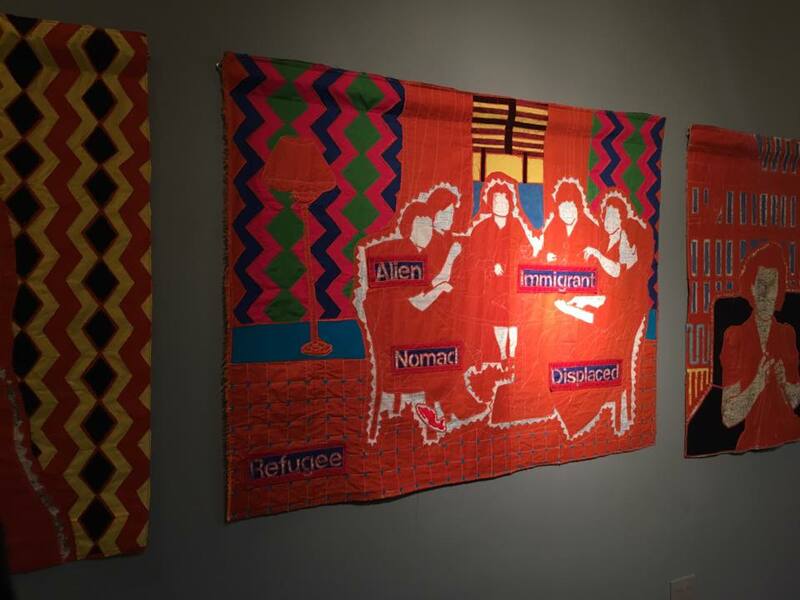 For Especies Migrantes, Michelle Melo produced five textile panels through an indigenous textile technique of Latin American origin for molas, a quilt produced by Kuna women in Panama. Her work is inspired by elder senior Latin American women at the Carver Senior Center in El Barrio, East Harlem. East Harlem, it must be noted, houses one of the largest Latinx communities in NYC, and is under siege by rampant gentrification that threatens to transform the neighborhood’s character. Whilst facilitating printmaking workshops at the Carver Senior Center, Melo overheard a number of conversations of immigration and identity. These became later the foundation for her work. The panels themselves reflect these conversations through the labels imprinted on them: ‘Refugee,’ ‘Nomad,’ ‘Displaced,’ ‘Immigrant,’ and ‘Alien.’ Melo’s work was produced both in conversation and immersion with the communities that it represents, voices, and impacts. Hidemi Takagi’s Hello, It’s Me. 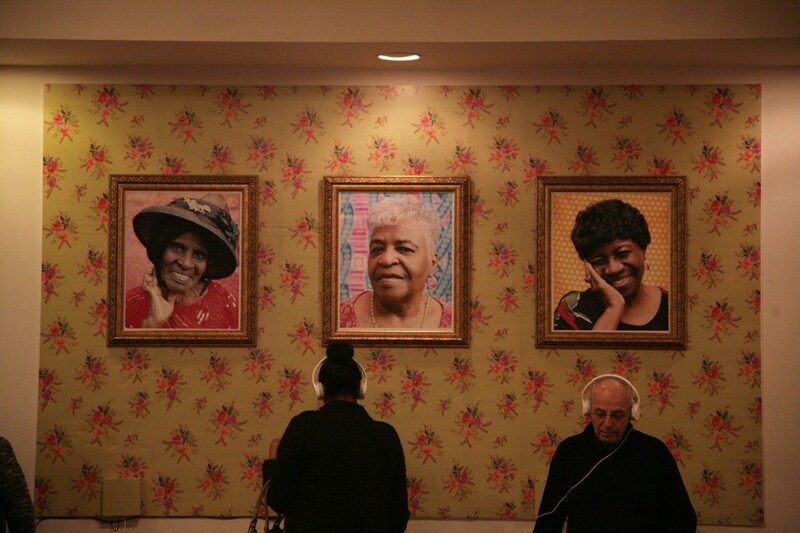 Featured here are portraits of three residents from Avila Senior Apartments in Crown Heights, Brooklyn. An audio recording with each participant’s voice and personal story accompanies the portraits. Hello, It’s Me was on view at Home(ward) from October 27, 2016 to March 17, 2017. © Hidemi Takagi. Courtesy of the artist and More Art. In a similar project, since July 2015, artist Hidemi Takagi has visited Saint Teresa of Avila Senior Apartments at Crown Heights, Brooklyn—a neighborhood perhaps as affected by gentrification and displacement as East Harlem. Takagi took portraits of some of the residents who shared with her family anecdotes and opinions on recent political events that have shaped, and continue to shape, a neighborhood that is historically African and Caribbean American. The resulting project, Hello, It’s Me, provided a venue for these residents to voice their stories. Through their portraits and audio recordings, residents of Avila Senior Apartments got to “pass their personal memories to their family members.” Three of the final portraits were in Home(ward). As with Especies Migrantes, Melo’s work was shaped by the participation of individuals affected both by gentrification, and their location in a historically immigrant neighborhood. Screenshot from a short feature trailer by More Art, introducing NYsferatu by Andrea Mastrovito. The shutter flickering effect, a staple of classic cinema, was achieved by drawing each recreated background three times. 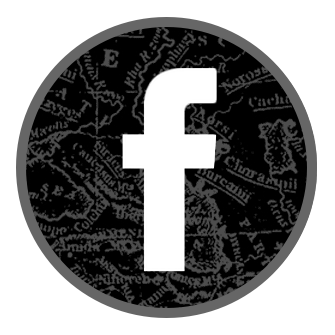 Mastrovito comments that, as vampires drain blood from their victims, living in New York City can “drain your life,” particularly when you find yourself as an immigrant caught amidst polarizing narratives. Seldom are everyday people allowed to participate in discussions around foreign policy and homeland security. Mastrovito felt it was imperative to start a conversation on migration that, for a change, reflected the experiences of displaced individuals themselves. Therefore, as a result of conversations occurring around migration, Mastrovito created NYsferatu. Along with a team of artists, Mastrovito animated Nosferatu by hand, which required over 35,000 thousand drawings in total. Every character, gesture, and expression was accurately redrawn and superimposed over original, contemporary backgrounds of NYC. This combination allowed Mastrovito to render NYsferatu both timely and relevant. The film opens up following the events of 9/11, and then tracks the different socio-political events that shook America in the decade following. Unsurprisingly, the finale places us in the recent 2016 presidential election. In NYsferatu, a map projection of Brooklyn takes the shape of Syria. The characters migrate, from The Bronx to Manhattan, on a boat down the Hudson river. In a most compelling frame from the preview trailer, the Statue of Liberty sheds a tear, perhaps over the loss of freedom. Mastrovito is definitely aware of his intended audience, as Americans will not find it daunting to draw parallels between the film’s premise and the evolving political atmosphere that the hand-drawn backgrounds reflect. 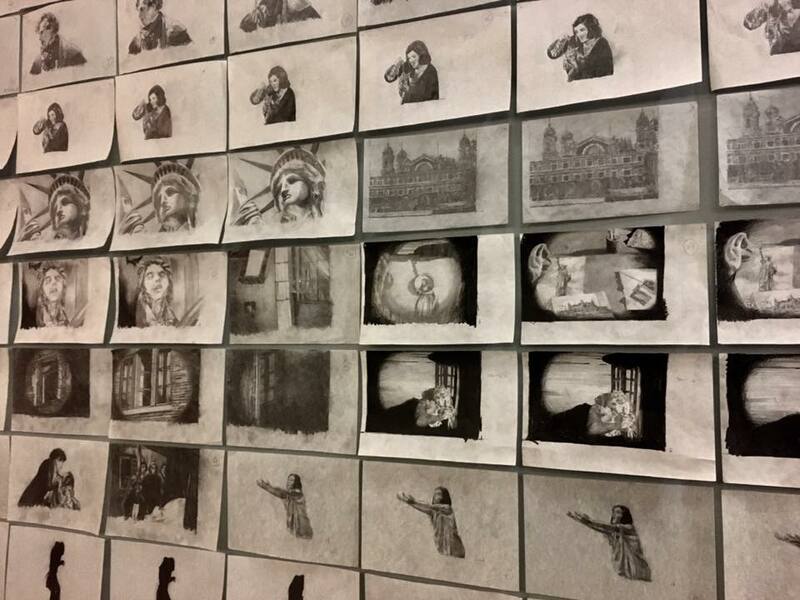 A series of hand-drawn film frames from Mastrovito’s NYsferatu. © Andrea Mastrovito. Courtesy of the artist and More Art. The title cards to this silent film are as equally notable, as they were written in collaboration with individuals living in NYC affected by immigration. In a series of film workshops for ESL communities, Mastrovito led volunteers through discussions about the film and its implications, which culminated in the writing of these title cards. NYsferatu, was thus not made in isolation, but rather the stories that the volunteers shared shaped the film itself. 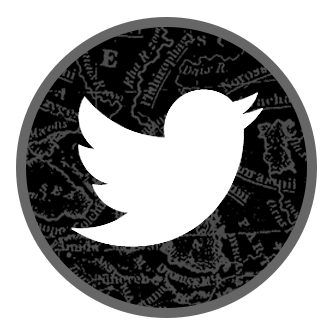 This insider’s perspective renders NYsferatu distinct from an important number of other accounts of migration. The film promises, then, to reflect the voice of these individuals affected by displacement, rather than Mastrovito’s own. 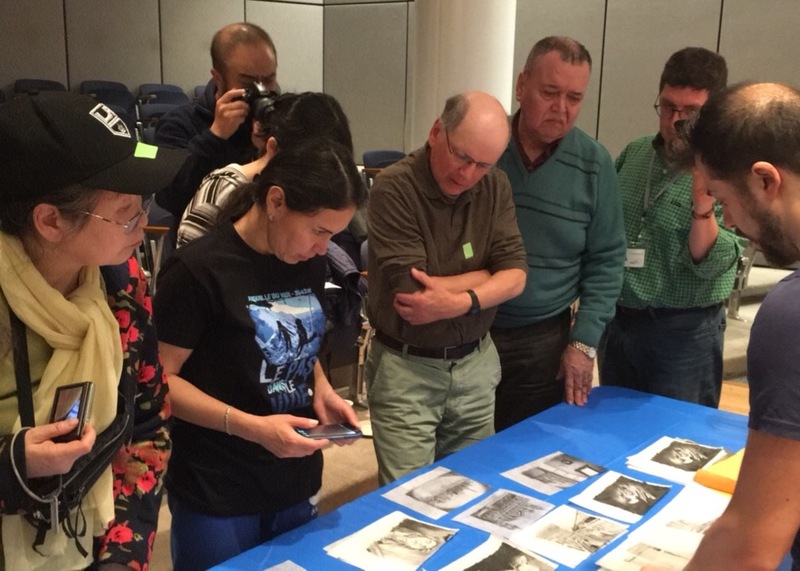 A photograph taken at a workshop as part of Queens Museum’s New New Yorkers Program. Andrea Mastrovito is shown on the far-right, presenting some of the hand-drawn film frames to a group of volunteers. Courtesy of More Art. Even if the artist is not pursuing particular political agenda through NYsferatu, the film does have a particular objective: to challenge current narratives on immigration. It serves as a platform for unvoiced individuals affected by this issue, to bring themselves into the discussion table. Although the impact is still unclear, it can still be assessed in terms of the personal effect that the project had on the volunteers. Mastrovito comments that they were thrilled to be part of a major film art project. It is likely, however, that their reactions reflect their contentment with having a venue where they could voice their concerns. 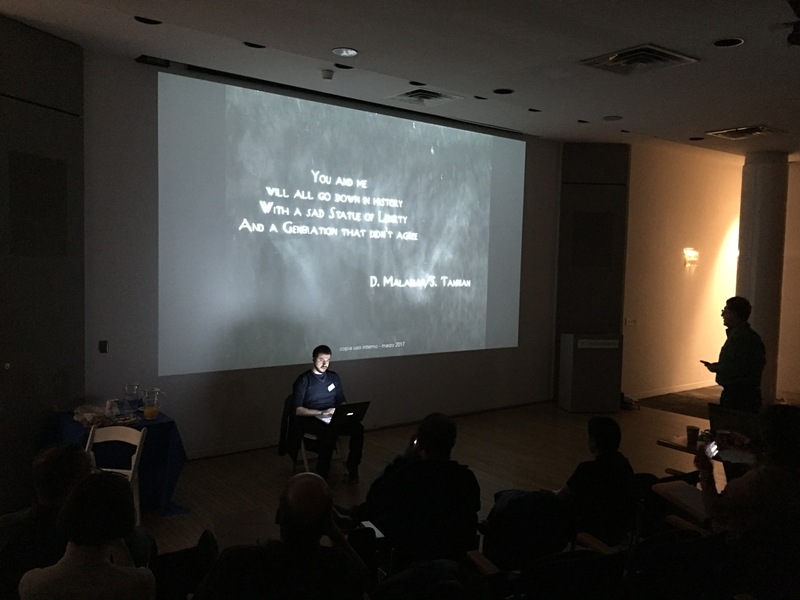 Andrea Mastrovito presenting one of the film’s title card to a volunteer audience at Queens Museum’s New New Yorkers Program. 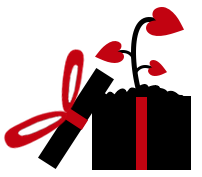 The title cards were decided in collaboration with the volunteers. This one reads, “You and me will all go down in history with a sad Statue of Liberty and a generation that didn’t agree.” Courtesy of More Art. 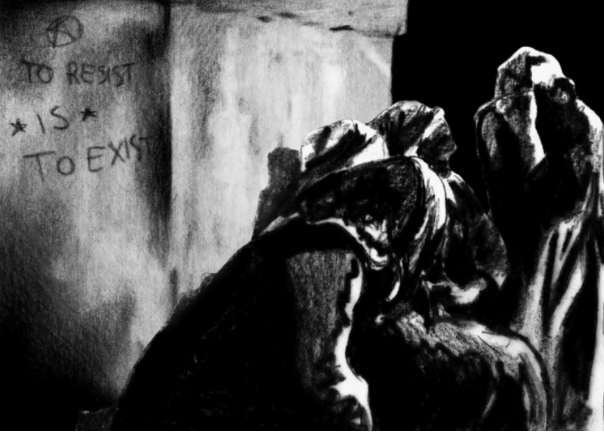 NYsferatu reflects, then, the essence of Home(ward), as an exhibition that served to drive discussions around homelessness, housing insecurity, and immigration; to render unsheltered communities visible. Admittedly the exhibition was private and could only be viewed through reservation. However, NCF must be commended for opening up a private office space to institutions and exhibits. All parties involved—volunteers, artists, More Art, and NCF—are setting forward a model through Home(ward) to produce art that is engaged, sustainable, and relevant. Such a scheme that draws on the expertise of many participants, individuals, and institutions, is innovative and uncommon. And needless to say, incredibly timely. Rodrigo Torres grew up in México, in both Querétaro and Mexico City. Since 2014, he has been pursuing a double degree in physics and theater at New York University Abu Dhabi. 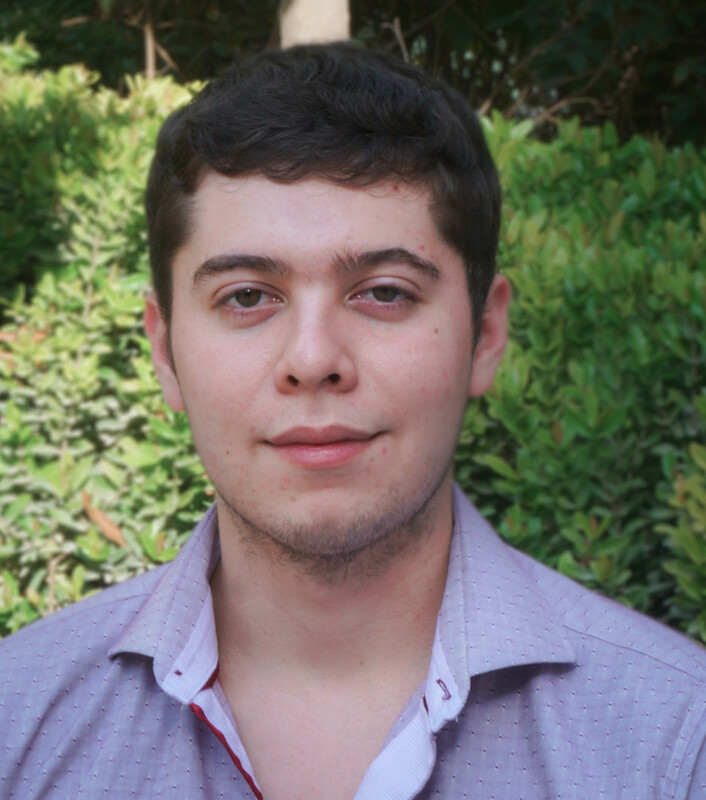 An aspiring writer, he is fascinated by the transformative power of narratives—be it those found in novels, articles, or physical theories.